Losing a loved one in an accident is a sensitive matter, involving attention not only to emotional recovery, but to financial recovery as well. This type of attention requires the compassionate and knowledge of a skilled attorney, an attorney who has litigated these matters successfully in the past. At The Hameroff Law Firm, P.C. we have been helping those who have lost loved ones in fatal accidents throughout southern Arizona for more than 25 years. We have the dedication and skill required to properly assist you through this time in your life. Contact our law firm today to schedule a free consultation. Car accidents and collisions with larger semi trucks tend to result in more fatal injuries in Arizona than other types of accidents. The high speeds of car wrecks and the massive force of semis when they collide with other vehicles can frequently result in catastrophic injuries and death. If you have lost a loved one due to the negligence of another driver, it is important to consult with an attorney who can assist in your recovery. At our southern Arizona law firm, we know what needs to be done in order to effectively build your wrongful death case from day one. We investigate to determine all parties at fault. From the person who directly caused the accident to the city if there was a faulty road design. Bringing in all parties responsible will enable us to fight for the maximum compensation available in your claim. For a free consultation, please call our Tucson offices at 520.792.4700 or 1.888.792.4700 today to discuss a fatal car accident with an experienced personal injury lawyer. 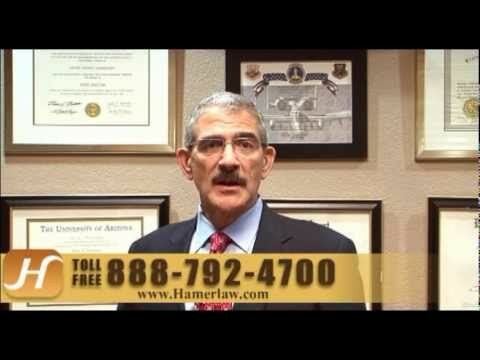 You can also send us an email at info@hamerlaw.com to schedule an appointment.